Facet joint MRI testing can provide ultra-clear images of the zygapophyseal joints and surrounding soft tissues. MRI is the best diagnostic tool for facet syndrome, since it can provide a comprehensive evaluation of all possible causative mechanisms for pain. Unfortunately, MRI has many flaws, including its high cost, long duration and contraindication for many patients. Despite its weaknesses, MRI still represents the gold standard in diagnostic testing for facet joint syndrome. We always recommend that patients who are suspected of suffering from apophyseal joint pathologies undergo magnetic resonance evaluation to help verify or exclude the diagnosis. However, since the test only images the spine, and provides no diagnosis unto itself, there is still one fatal flaw inherent to magnetic resonance imaging: human error. Remember, all images must be read and subjectively interpreted by a doctor and this is where many patients end up on the wrong path when it comes to accurate diagnosis and subsequent treatment. This important dialog explores the utilization of magnetic resonance testing for facet joint pain syndromes. We will detail the benefits of MRI evaluation, as well as provide an objective look at the limitations and downsides of the procedure. Although this essay is focused on the application of MRI specifically for facet syndrome, the lessons contained herein are applicable to all dorsalgia diagnoses and should serve chronic pain sufferers well, regardless of the location or nature of their symptoms. 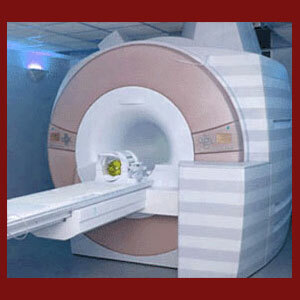 Magnetic resonance technology is one of the greatest inventions in the medical sector. This safe test allows doctors to look inside the body, with the ability to visualize all the tissues contained therein. Unlike x-rays, MRI can accurately depict the exact state of all bodily structures, including soft tissues, in vivid detail. MRI is responsible for a dramatic reduction in the need for exploratory surgeries, since the internal processes can now be observed using completely noninvasive methods of imaging. For facet syndrome sufferers, MRI allows diagnosticians the opportunity to focus on the affected joints with unrivaled detail. MRI can visualize the growth of osteophytes anywhere in the joint structures, including internally, but is not limited to depicting the skeletal tissues. MRI can also provide evidence of soft tissue inflammation, such as that demonstrated by the cartilage in extremely deteriorated zygapophyseal joints. It can also visualize ligament problems, such as hyper-tensioning or laxity that can create hypomobile joints or unstable joints. MRI can also image the neural foramen to determine how much reduction in patency may be occurring in cases of suspected nerve root impingement due to facet joint bone spurring and hypertrophy conditions. When it comes to providing doctors with all the structural evidence they require in order to verify or exclude a diagnosis of facet joint syndrome, no test compares to the efficacy of MRI. MRI is simply a form of medical imaging. It can not and will not diagnose facet syndrome. Diagnosis is a process that is completed by a physician and unfortunately, this is where subjectivity creates a great weakness in the effectiveness of MRI testing. The images produced are subject to opinion and interpretation. In essence, they are subjective and rarely provide objective evidence of pathology. This subjectivity is a tool used by opportunistic doctors to get patients into treatment for conditions that might not be the actual cause of their pain. We all know that degeneration of the facet joints is normal and expected. Facet arthritis will occur in virtually all adults and will almost never become significantly symptomatic, if it creates any pain at all. Sometimes, this type of normal joint deterioration is used to justify treatment when pain exists. However, the pain might not be the result of the facet joint changes. This is a very common problem and helps to explain why so many patients do not find relief, despite active and often surgical care. Additionally, many patients are precluded from undergoing MRI evaluation due to various reasons, including health problems and metallic implants that might exist in their bodies. Although the test is generally considered very safe for indicated patients, contraindicated patients must be carefully screened or potentially suffer catastrophic injuries. Although MRI is not perfect, it is the best variety of testing that is available for imaging the spine. We recommend that every patient who is suspected of suffering facet joint pain undergo MRI evaluation and use the results as an important part of a comprehensive diagnostic evaluation. Equally important aspects of this process should include a thorough physical exam and symptomatic correlation. Remember also that once you have MRI images on disc, these can be read by multiple radiologists. It is always a good idea to seek a second opinion on your images and an even better idea to leave out the report from the first doctor when consulting the second. This way, you have a better chance for true objectivity in their analysis of the pictures.